HEIDELBERG, Victoria, April 11, 2019 – The Olivia Newton-John Cancer Wellness & Research Centre, a treatment centre of Austin Health, will acquire an Elekta Unity MR-linac. 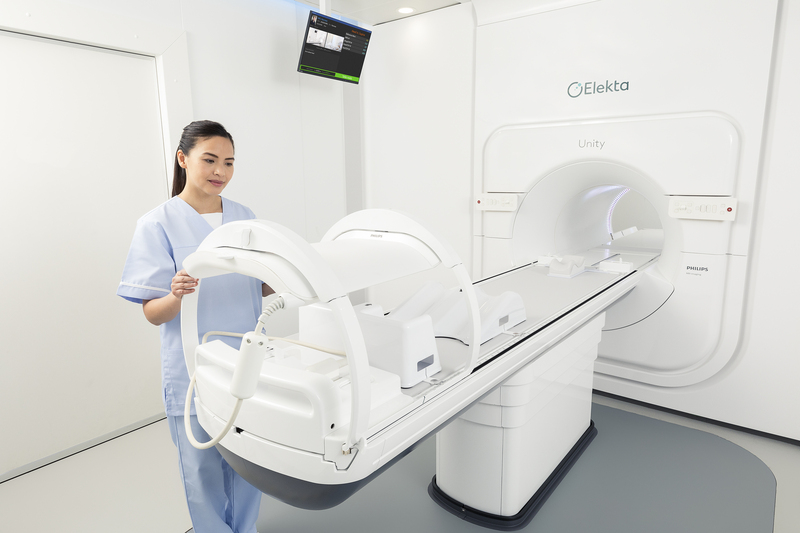 Elekta Unity combines two technologies – a state-of-the-art 1.5T Philips MRI scanner and a best-in-class 7MV linear accelerator, driven by breakthrough real-time adaptive radiotherapy software. It provides the ability to reshape the dose based on daily changes in shape, size and position of tumour and surrounding healthy anatomy, as visualised with MRI, and then enables accurate dose delivery with real-time visualisation of the tumour. Unity will transform how clinicians at Austin Health treat cancer by enabling high resolution MR imaging of the patient anatomy while the radiation dose is being delivered. The live images help to keep the radiation directly on the target, even if it’s moving and changing shape, size or location, during the treatment. This solves a longstanding, unmet need as the cancer care team can now clearly see both tumours and surrounding healthy tissue at any time during radiation treatment rather than relying on pre-treatment images. Current radiation treatments rely on CT imaging to locate tumours. The new MR-linac machine instead uses superior diagnostic quality MRI imaging to target the tumour with greater precision, and in real time. With more detailed imaging, doctors can better target cancers and minimise damage to surrounding tissue, delivering better outcomes for patients. The Olivia Newton John Cancer and Wellness Centre at the Austin will become the first radiation oncology service provider to use this new technology in the State of Victoria and offer a public state-wide service to all Victorians for appropriate cancer types. The Elekta Unity system, funded by the Victorian Government, is planned to be delivered in late 2019. Two Versa HD™ linear accelerators (linacs) are also included in the order. The Olivia Newton John Cancer Centre at Austin Health and Elekta have a long-standing relationship. The hospital has used Elekta technology and software, including linacs, MOSAIQ® oncology information system and Monaco® treatment planning system for over a decade.